I was feeling reasonably brave today in my slow but exciting quest to learn codea, and decided to take a look at shaders. I got the main concepts of what it's for, I think, but I'm still stuck to a very simple application: how to apply a simple example shader, let's say, blur, to the whole display? Not a single sprite or a specific texture, but everything that is rendered and ultimately drawn on the ipad screen. I tried #2 and it most works great! Thanks! One question though, is there real dramatic differences in render time depending on the shader we use? I'm guessing that would be the case, but ripple, which seems complicated doesn't drop a frame while radial blur, which may seem simpler, cuts frame rate by two or three. That makes sense... Does anyone know how to perform a blur, or radial blur in a more efficient way? 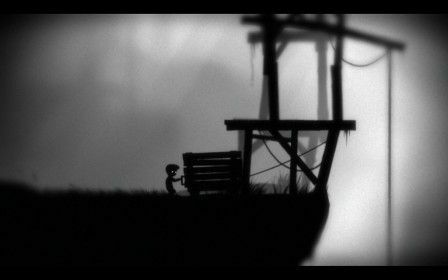 Limbo for ipad does it quite well ( http://iphonesoft.fr/images/_072013/limbo-iphone-ipad-2.jpg ), for instance. You're looking for post processing which is used in a lot of games to provide a faster way of changing how colours appear on the screen. Bearing in mind what @ignatz said, this only works with a texture, which in this case is the screen, but not the screen. Everything you would draw to the screen you draw to an image as a texture to be used in the fragment shader. An alternative is not to blur, but just to fade the screen, and this is very easily done by drawing normally, then overlaying a partly transparent rect on the whole screen. I think that's just as good! Or draw an alpha-fied version of the image 5 times with a random difference in position of a few pixels? If you want the mix to change over time, you can put the mixAmount line in the draw function and update it as often as you like. @Ignatz thank you, works perfectly!